The Vesper V-High Base is an eye catcher thanks to its height - it is an observation deck as well as a place to rest in one. 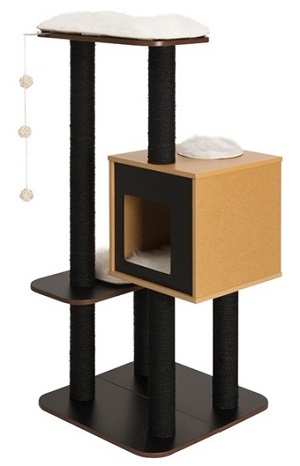 It has tall and slim scratching poles that encourage extensive scratching. The cube cave with rear exit provides a cozy space for a nap.